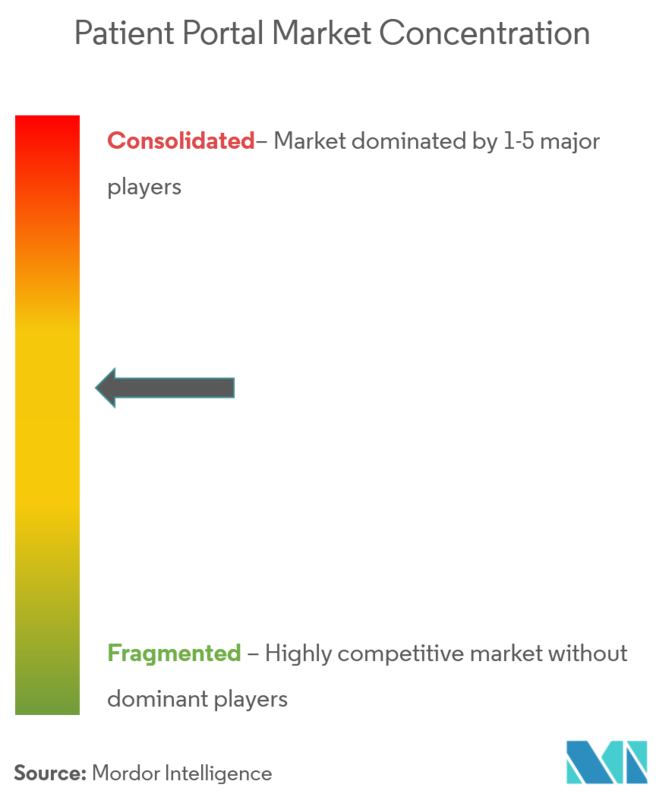 The Patient Portal Market is segmented by Portal, Delivery Mode, End User, and Geography. 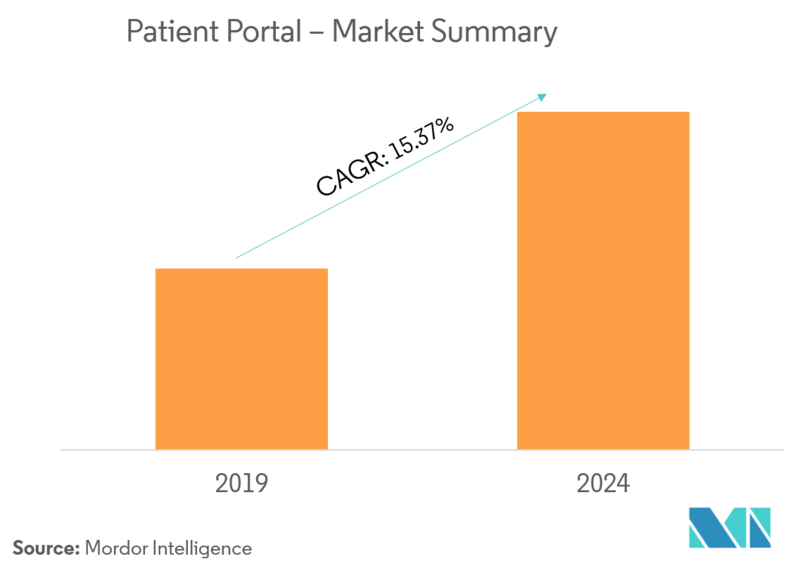 The increasing growth of the patient portal market has been observed due to the adoption of the patient-centric approach by healthcare payers and increasing demand for electronic health records (EHR) in the market. The current market is also growing as the government is undertaking various initiatives for the patient portals that generally focus on laying down the standards, regulations, and infrastructure for maintaining health records, which may lead to an increase in the demand for patient portal. The increasing aging population and rise in chronic diseases are putting relentless pressure on the capacity and financial viability of healthcare systems. Healthcare technology, genomics, connected devices, big data analytics, and artificial intelligence are generating vast amounts of health data and insights, which are enabling healthcare providers to make better and faster diagnoses and more informed treatment decisions. These help in transforming the healthcare marketplace from a provider-driven ecosystem to a patient-centric ecosystem. 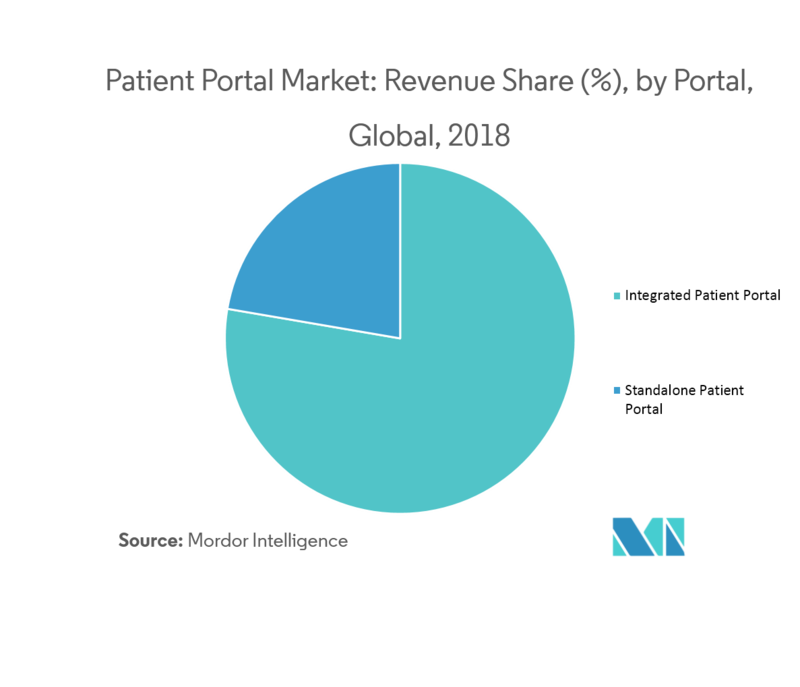 Therefore, increasing adoption of the patient-centric approach by healthcare payers and providers is driving the growth of the patient portal market. 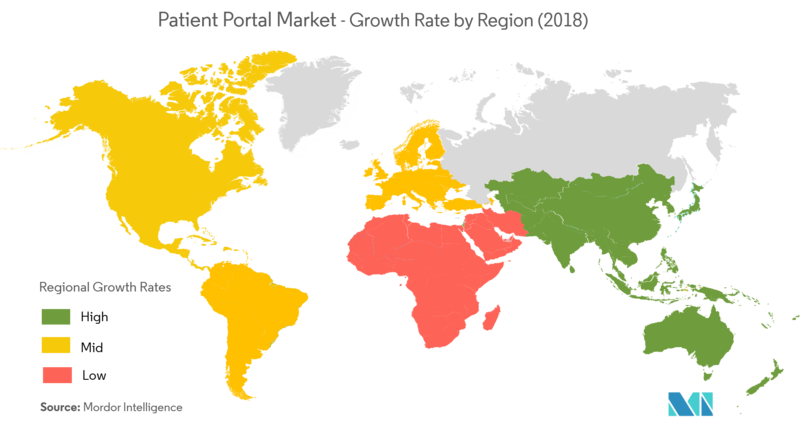 The growth of the patient portal market is also due to the increasing geriatric population and the increasing incidence of osteoarthritis disease. The increasing prevalence of osteoarthritis and the introduction of innovative technologies for the treatment of osteoarthritis are found to be the primary factors that are expected to be responsible for the growth of the patient portal market during the forecast period. The market is also experiencing growth as a result of the increase in demand for EHR (electronic health records), as they have become increasingly more important for patients and providers. EHR systems are becoming increasingly popular as the healthcare industry is moving toward digitization. There are several government initiatives that generally focus on laying down the standards, regulations, and infrastructure for maintaining health records, which may lead to an increase in the demand for patient portals. As per the scope of the report, the patient portal is a web-based access point that is connected with the electronic health records (EHR) systems and is focused on patient’s access to health records. The patients can share their health information and communicate remotely. These allow patients to look into various data points. Some portals allow patients to check medical history data and view demographics. Integrated patient portal is the cost-effective portal that is easy to use and allow patients to access the complete record at one place from anywhere and anytime. It is thus, the most preferred portal because of the electronic health record (EHR) and holds a significant share in the market. Therefore, nowadays the integrated patient portal is commonly used service in the US and is expected same way across the globe. Hence, these provide a one-stop solution, and are cheaper, favored, and therefore high in demand in the overall market. North America has been the largest patient portal market due to wide technological advancements in the region. Countries, such as the United States and Canada, have been successful in implementing IT technologies in their healthcare systems, which as a result, may boost the market growth. Moreover, the presence of developed IT and healthcare infrastructure, promising government initiatives to give patients access to their healthcare data at any time anywhere via the patient portal and in the current healthcare infrastructure, and constantly improving reimbursement scenario are expected to further propel the market growth. Over the past decade, an opportunity has been presented for pharmaceutical companies to dominate the digital patient engagement arena. The pharmaceutical and medical device companies are also moving toward data-driven models and leveraging IT for business model transformation.